The Annual Conference of Ekal’s Southern California chapter for this year is scheduled to be conducted from September 18- 20, 2015 at a beautiful San Diego Resort overlooking the bay. Ekal Sansthan, the R&D wing of Ekal movement conducts Ekal Learning Yatra every year. 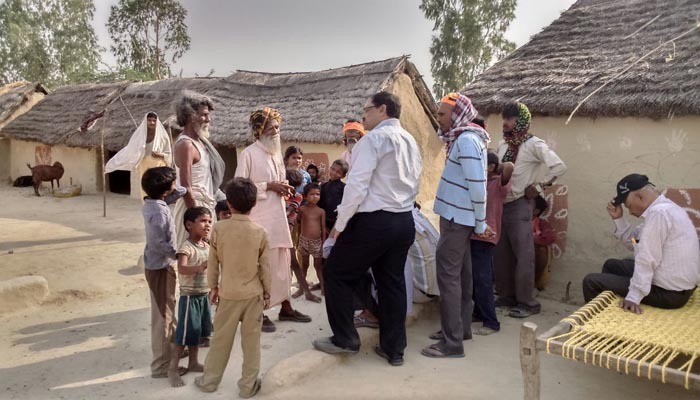 The purpose of this yatra is to provide an opportunity to Ekal volunteers, supporters and many others to have an insight on the functioning of the Ekal system at the grass-root level. This ensures ‘on the spot learning’ which makes it unique and different from other similar organisations. 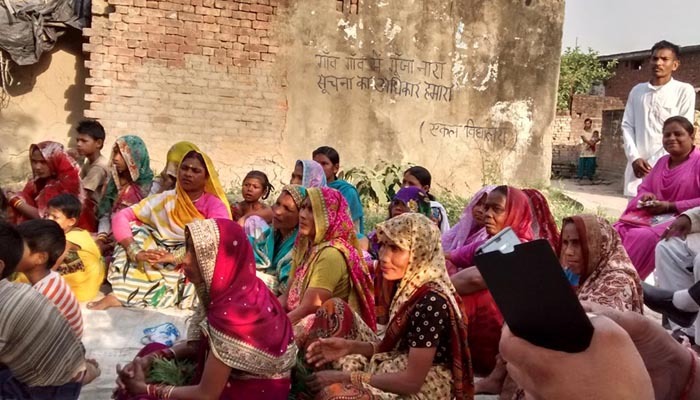 The secret of sustenance and success of this system is attributed to the true spirit and active involvement of all the stakeholders such as Sevavritis, and Gram, Sanch, Anchal and Bhag Samiti members. 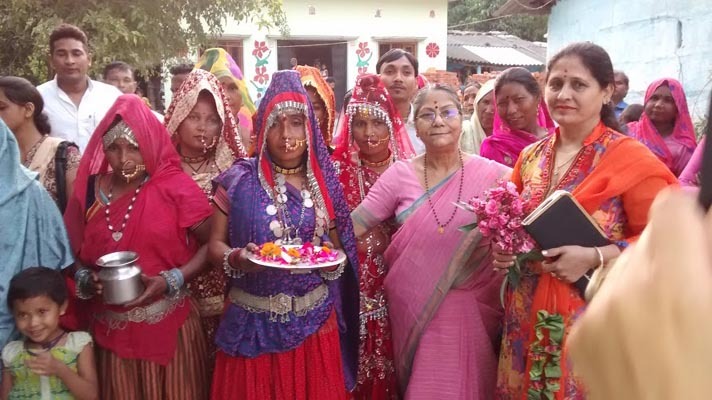 Due credit has to be given to the women members in every village who take up the responsibility of Ekal schools at the Gram Mahila Samiti and ensure quality with their exemplary leadership in this regard. A trainers' training program was conducted for Tamilnadu FTWs on the Ekal syllabus on Primary Health Care through Home Remedies at Coimbatore from 8th to 12th May. All the Ekal Vidyalayas in Tamilnadu will follow the Syllabus based on the Coimbatore Pilot Project that was tried last year. Smt.Sathyamani, the Prasikshan Pramukh who was involved in the Pilot Project shall be responsible to train all the FTWs initially and then all the Acharyas by Aug 15th, 2015. Smt. Hema and Dr. Satheesh Kumar will extend all the support and cooperation in this regard. Further, a Shiksha team, consisting of selected experienced FTWs, Educationalists and Publishing professionals shall be formed. 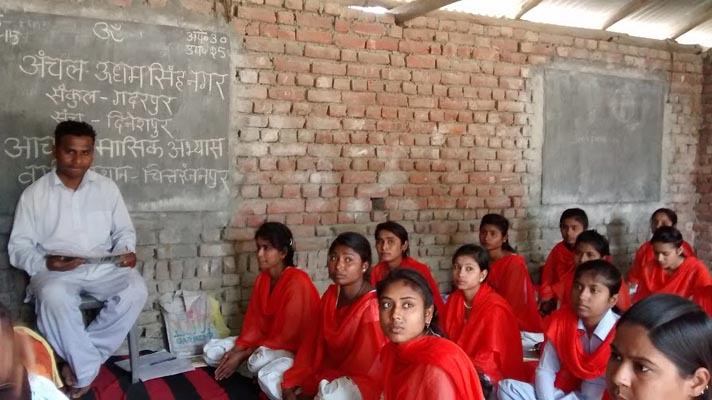 This team will work on curriculum and methodology based on syllabus guidelines provided by the centre and publish course materials for Ekal villages. The Vidyalayas working in Tamilnadu will also work on health care programs as initiated by Arogya Foundation of India. 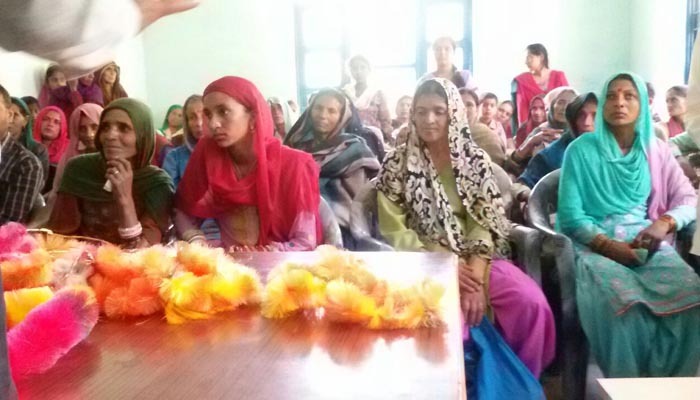 The project is called "Managing Malnutrition and Anaemia through Home Remedies." This program will be taken up in 9 districts of Tamilnadu, this year. 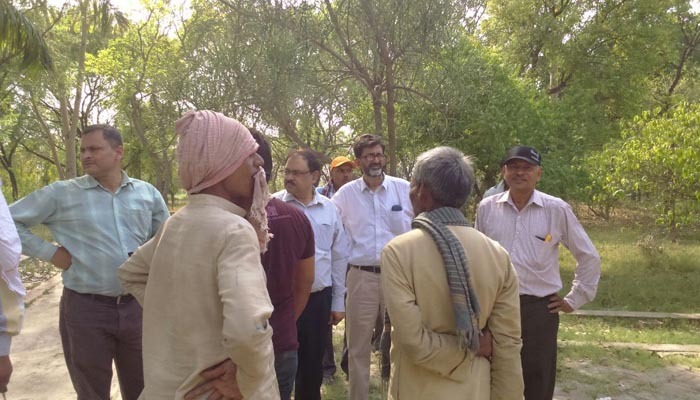 The Arogya Foundation will have their own field workers and Vidyalayas would work in coordination with the local team that includes the Anchal Samithi. Sri.Senthur Pari will be the Secretary of the Tamilnadu Chapter of Arogya Foundation and Smt. Athilakshmi will be the State Project Coordinator. Thus, Ekal Abhiyan will be working in 1550 villages in Tamilnadu encompassing 850 Vidyalaya villages and 700 Arogya villages. All the major reports of the Arogya work will also be shared to all the FTS chapters and SVO. The annual day celebration was conducted in Kollimalai, Namakkal (P.O), Tamilnadu on 19.04.2015 from 10.30 am to 4 pm. Several dignitaries participated and graced the occasion. 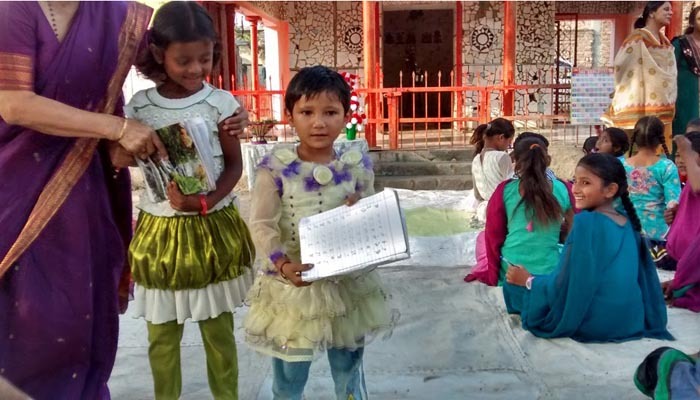 The event was marked with yoga, songs and cultural events exhibited by the children of Ekal Vidyalaya. 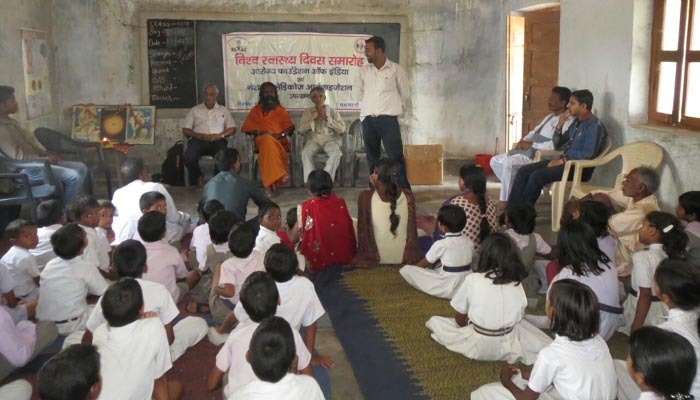 Nearly 1050 members including children and public from 120 adjacent villages took part in this event. 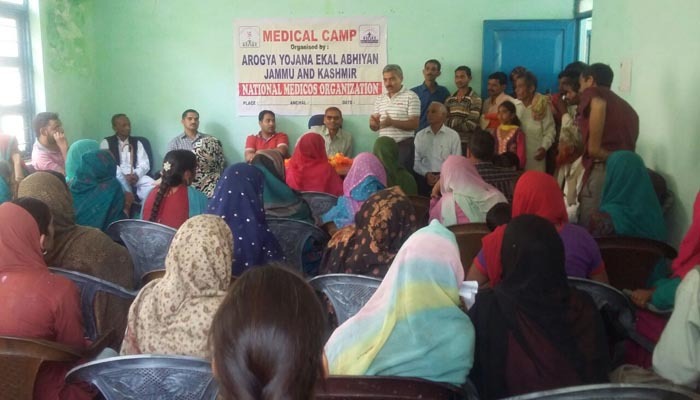 Nearly 280 patients in GharianKalan, a beautiful village in Udampur district in Jammu & Kashmir, were examined and treated in the medical camps organised by NMO & Arogya Yojana of Ekal ABHIYAN. 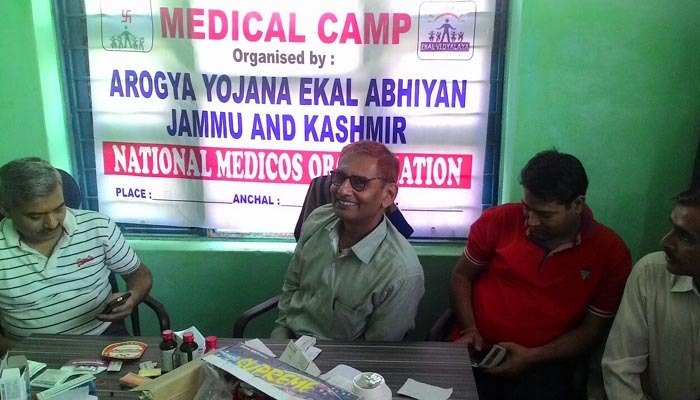 Several eminent doctors such as Dr.Biasdev and Dr.Viikas of Jammu Medical College, Dr.Mukul Bhatia of Ekal ABHIYAN, Dr. Vijay Vikas and volunteers of EVFI participated in the camps. 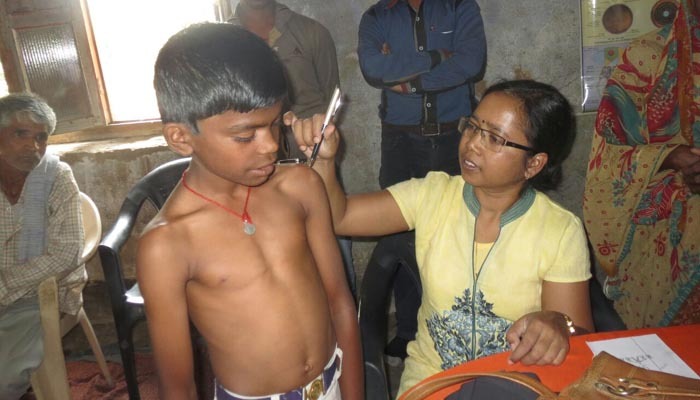 World health week was celebrated from April 7- 14, 2015 in parts of Jharkhand such as Ranchi, Lohardaga, Masmano, Senha, Bharano (Gumla), Medini Nagar. 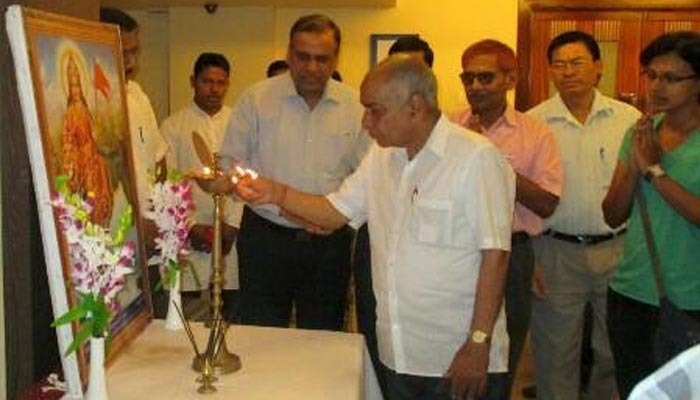 The event was jointly organised by Arogya Foundation of India and National Medicos Organisation. 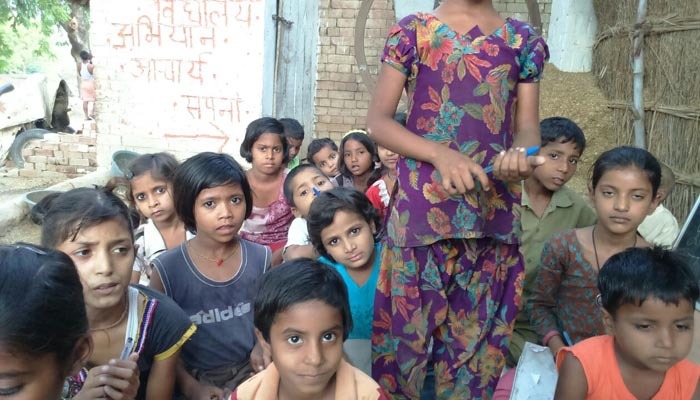 The students of Saraswati Shisumadir who benefitted from the program were also given awareness speeches on hygiene and food habits. 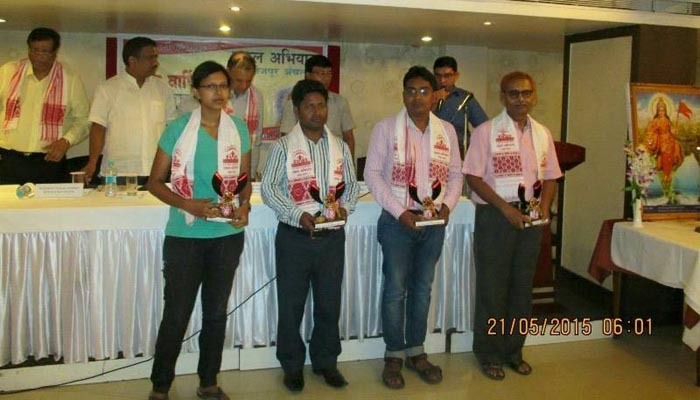 Dhanvantari Swasthya Seva Yatra was organised from May 19 – 23, 2015 across 7 North Eastern states of India. 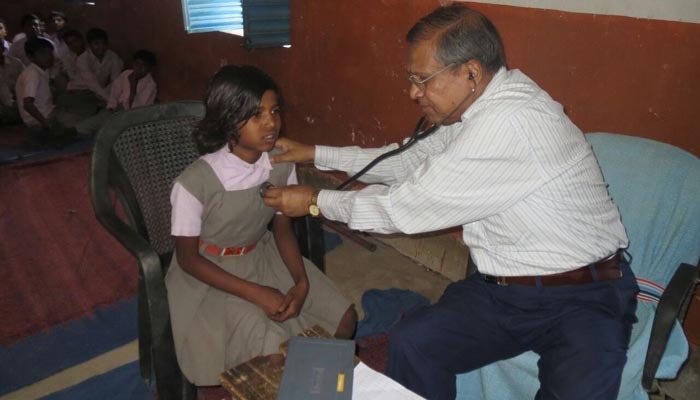 Nearly 120 doctors including medical students were grouped into 21 teams who conducted 104 medical camps in 2 districts of Arunachal Pradesh, 14 districts in Assam and one district each in Tripura, Manipur, Nagaland, Meghalaya and Mizoram. The total number of beneficiaries out of this yatra was a staggering 21,000 people. The event was jointly organised by NMO, Sewabharati, Ekal Abhiyan and FTS. The highlight of the event was that Dr. M S Bhatt created a record by treating 2,400 patients in 5 camps in Dibrugadh district. The yatra was a huge success! The participants who wish to join Rishi Kashyap Swasthya Sewayatra-2 in Jammu & Kashmir are requested to reach on 4th October. NEC meeting is scheduled to be conducted on 10th October and NMO National Abhyasvarg would be organised on 11th October. Participants interested in the event, kindly book your tickets. 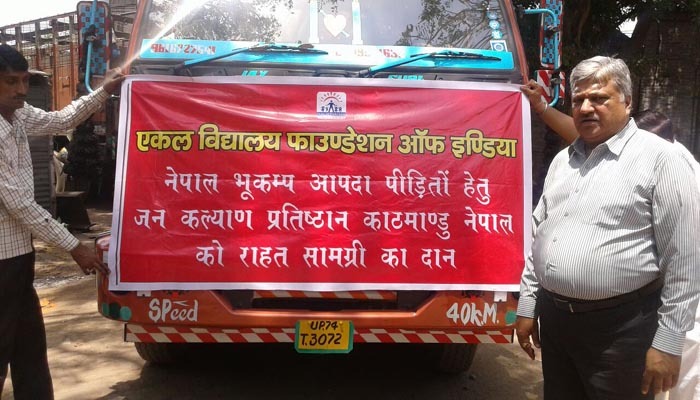 Persons who wish to volunteer in the event can directly reach by air to Kashmir or Ladakh and the rest can reach Jammu. 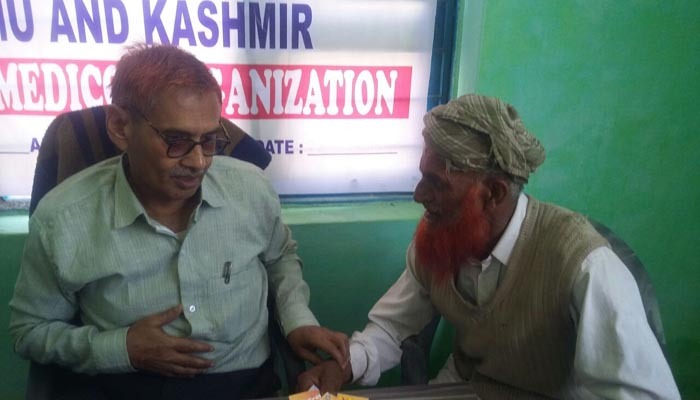 Rishi Kashyap Seva Yatra - 1 of Jammu & Kashmir was conducted at Jammu on 29th April, 2015. 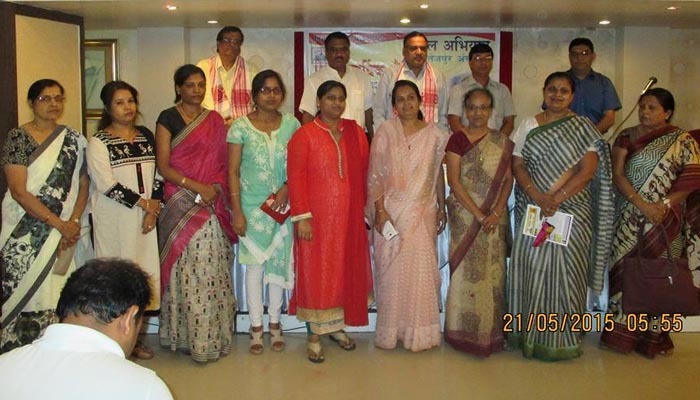 The annual day celebration of Ekal Abhiyan- Tezpur Anchal was held at Hotel KRC Palace. The dignitaries present were Shri Arun Bajaj, National Vice-President, FTS and Shri Subhash Agarwal, Zonal Chairman, FTS (North-East).